HOMES in Balerno, Currie and Wester Hailes are the Scottish hotspots for break-in insurance claims, according to a new report. The EH14 postcode – which spans west Edinburgh and into the outskirts – fares the worst in a study by price comparison site MoneySuperMarket. Six areas of the city are in the top ten areas for payouts – including Dean Village, Comely Bank, New Town, West End, Tollcross and Fountainbridge. MoneySuperMarket examined more than 2.68 million home insurance quotes over the past year and found that Edinburgh post codes dominate the list of places most likely to have made a claim for theft from their home or garden, followed by Glasgow. EH14 had 32.5 burglary claims per 1000 quotes, closely followed by the EH4 area – covering Dean Village, Comely Bank and the A90 to Barnton and Cramond – which had 30 claims per 1000. These areas did not feature on the site’s study last year, implying that thieves have been targeting new areas. Last year’s research found that the EH16 area, covering Liberton, Cameron Toll, Craigmillar and Niddrie, had the highest rate in the city, and second in Scotland. 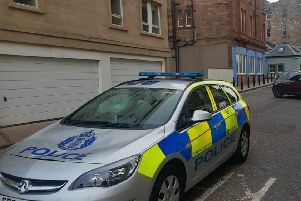 Those areas have dropped to number nine on the list, while the EH9 Marchmont and Grange area – which ranked at number six last year – has dropped off the list altogether. Leith and Newhaven, number eight last year, do not feature in the latest ranking. Police chiefs said housebreaking remained a priority, and new SmartWater technology was having an impact. A police source said that high claims were always expected from densely populated areas such as those in the poorer parts of Wester Hailes. However, property owners in more affluent suburbs such as Balerno were more likely to have insurance. The retired officer said: “On one side of Lanark Road, you have very high-end houses, and then on the other you have Wester Hailes. Most housebreakings take place in housing schemes in poor areas but we are talking about insurance claims here, which is a different thing. Police restored a disbanded dedicated housebreaking “hit squad” last year after a spike in the number of incidents. Chief Superintendent Mark Williams, left, Divisional Commander for the City of Edinburgh, said: “We treat housebreaking as a priority, and police operations have driven a 10.3 per cent reduction in domestic housebreaking in Edinburgh since April 2014 – as well as an 11 per cent increase in detections.